The Bike Coat is your answer to keeping your bike racked in transition overnight! This lightly colored but see-through bike coat is compact, reusable and recyclable! 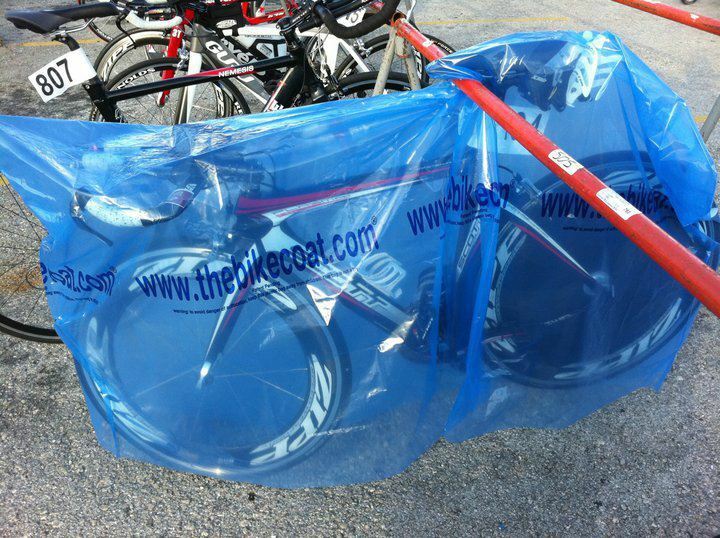 Race morning simply lift it off and fold it right into your transition bag....or use it as your transition mat! Fly n Tri with Us!